It's just the nature of that blasted twenty four hour cycle and our stupid circadian rhythm. We can be more productive when we wake up early. Sure there are those notorious people who stay up late, but those same people tend to wake up early to leverage their mornings as well. Many use the night owl defense as a way to justify sleeping in. You're more productive - More things will be open, more people awake, and you're able to beat the rush. 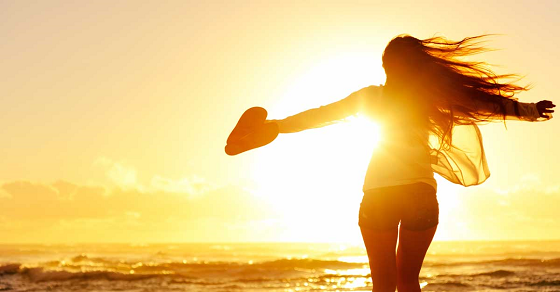 Better mood - You get more sun exposure. Bad weather and lack of sunlight are some of the biggest factors in mood disorders. It just makes sense to maximize the amount of time you're awake when the sun is up. More Vitamin D - Related to lack of sun exposure. There's a whole series of health issues related to lack of Vitamin D. When you're rising with the sun, this becomes less of a problem. Go outside more - When you're up late and out late, you tend to be indoors. And when you're up early, you tend to go outside, enjoy the sun, go hiking, ride a bike, jog, exercise, and more. Morning people are outdoor people. You keep a strict schedule - Being productive and organized is a habit. Being able to keep a strict schedule is also a habit. You balance creativity with productivity - Yes you can get some great ideas at night (which is why you should always keep a notepad by your bed). But having great ideas and implementing great ideas are not the same things. Many do'ers tend to be up early, from CEOs, inventors, writers, business people, and even artists. Better for your brain - You rise when your brain starts to kick in the alertness hormones. You go to bed when it kicks in the sleep hormones. When you sleep past the hormones that wake you up, you don't fully maximize your body's natural alertness. And if you keep sleeping past your sleep hormones, you'll begin to harm your sleep patterns, your hormonal balance, and really your health and brain will suffer. If you're having problems falling asleep, check out my sleep hack article.